Irish Traditional Music is at the heart of Irish culture and today is heard throughout the world. It is not a static, unchanging art form, but an evolving musical inheritance passed down through the ages. In today’s guest post, Damien Peters explores the wide variety of instruments used in traditional Irish music and how non-Irish instruments have been adopted by today’s traditional Irish musicians. There’s no denying that one of the treasures of Irish culture is the music. Upbeat, expressive and perhaps even a little addictive, it is thick with tradition, and continues to flourish today. The setting where most Irish traditional music is played is known as a “session” or in the Irish/Gaelic language, “seisiún.” These sessions can take place anywhere, but the most common setting is in a favored local pub or friend’s house. The range of instruments played at a session is very broad and not limited to instruments of Irish origin. In fact, many of the modern instruments employed in “traditional” Irish music today came from Europe and the United States, often brought by returning emigrants or by the influence of recorded music and television in later years. One common non-Irish instrument often found at trad sessions is the guitar, which, with its adaptable nature, can be employed as a rhythm instrument (its primary role) and also a lead instrument. The guitar is most often used to provide rhythmical backing to a singer or lead instrument’s melody using chords. It’s quite rare for the guitarist to take the lead with single picked lines, but accomplished guitar players can often play solo pieces using a mixture of chords and picked lines. For those beginner American musicians who want to learn Irish tunes, the guitar may be the most practical selection of instrument, as classes will be the most available for this versatile choice, and acoustic guitars can be bought here for a variety of price points. From the 1960’s, the bouzouki, an eight stringed instrument originally used in Greek music, has played a similar role to the guitar, in that it is primarily used for rhythm working, but will occasionally also take the lead. Since its introduction there have been some modifications made to the bouzouki’s shape in Ireland, which has led to some musicians speaking of an “Irish” bouzouki rather than the less common Greek model. Additionally, the banjo has been incorporated into traditional music since the early 20th century. 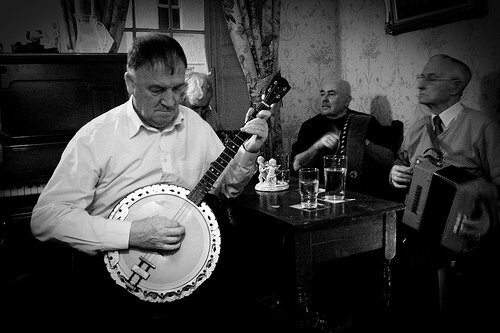 An import from the traditional bands of the United States, who were themselves influenced by Irish music, the banjo is now one of the oft included instruments in trad groups. Unlike the guitar and bouzouki, the banjo is used for melody, doubling the lines of a singer or taking responsibility for the melody of the piece itself. Modern drum kits have been used in some traditional recordings and live performances, but the basis of a session’s rhythm nearly always comes from a bodhrán. This is a rounded drum, which resembles a large tambourine without the metal jingles, or zils, around the edge. Held from behind with the left hand, the bodhrán is struck with the right using a small stick about the same length as a pencil and held the same way, or it is simply struck with the open hand. The stick has a variety of names but is most often called a “tipper”. Brushes, as used on standard modern drumkits for lighter pop and jazz songs, are also sometimes used to play the bodhrán. 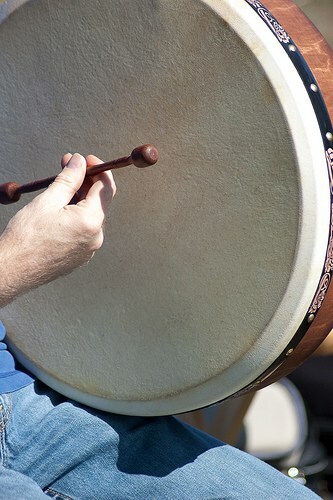 The left hand, by tightening and loosening the skin of the bodhrán, can manipulate the tone of the beats heard. If you’re looking to try your hand at this fun instrument, click here. Probably the two most common lead instruments in Irish music are the fiddle and the tin whistle. In design, the fiddle doesn’t differ from the classical violin, except that many trad players do not use the chin rest. 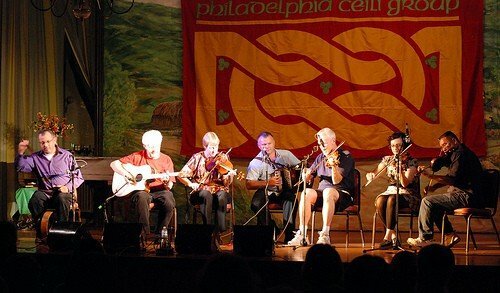 Almost all traditional bands and sessions will include at least one fiddler, but the instrument, like Irish traditional music itself, is most prominent in the West of Ireland. The tin whistle is just as widely featured at a session as the fiddle, and the night when one is not brought out for at least one tune is rare indeed. Nearly all Irish primary schools offer lessons in the tin whistle and the affordable and compact nature of the instrument help its popularity further. With its diminutive size and simple tunes, the tin whistle would not be thought to be capable of transferring to larger groups, but bands like the punk/trad band the Pogues made the tin whistle imperative to their sound, while the Corrs demonstrated that the whistle could just as easily bring the sound of Irish trad to pop audiences. A final instrument seen prominently at sessions and in trad groups is the button accordion. It first came to prominence on the island in the 1800’s and is now a mainstay of the modern trad sound. Though less common, concertinas are also popular. 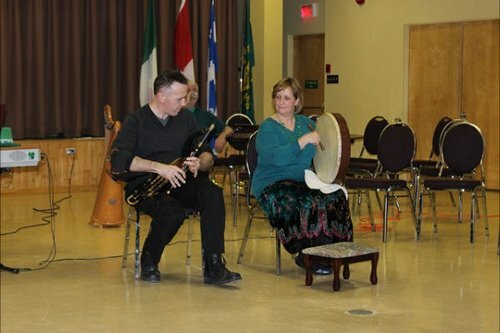 Both instruments are used prominently at céilí dances where traditional steps, familiar to anyone who has seen Riverdance, are done to traditional tunes. The accordion, as a versatile instrument that can be played unaccompanied, is the perfect soundtrack on these occasions. While these are the instruments that will be seen and heard at almost any trad get together, two of the oldest instruments used in Irish music are often largely absent. The oldest of course is the harp, the national symbol of the country, which has a century’s long history of being played at the courts of Irish kings and chieftains. 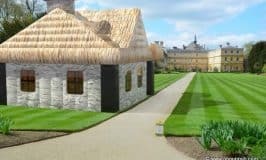 With the fall of the last Gaelic Irish chieftains in the 17th Century, the harp fell from popularity, limping along until a small resurgence in the last century or so. Despite this downturn, it should never be forgotten that most of the tunes played today by “traditional” Irish musicians were actually composed on the harp by players long before. The uilleann pipes is another native instrument that is often missed. Those privileged to see them played in person will often notice a passing similarity to bagpipes, but the smaller uilleann pipes have some advantages over their Scottish cousins. The uilleann pipes, unlike the bagpipes, can operate over two octaves, giving them a much wider ability to convey a range of emotions and tones. At the same time, the uilleann pipes can also produce a harmonic backing for the main melody with the use of special keys. Played with a group or unaccompanied then, the uilleann pipes create a sound that few who hear it will ever forget, alive with soaring tones yet also able to convey sounds of the deepest sorrow. Music communicates the country’s spirit unlike any other medium, and has the ability to transport you to a particular time and place. 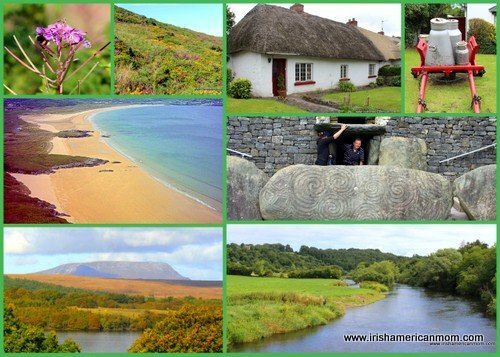 Whether you’re interested in diversifying your musical repertoire, celebrating your heritage or simply want to take a melodic five minute vacation to the Cliffs of Moher or the Lakes of Killarney, Irish music is the channel through which it is possible. Damien Peters was born in Carlow, Ireland and first began playing in guitar in 1996, giving his first guitar lesson in 2001. Since then he has taught and played in Ireland as well as Asia in a number of bands and different music schools. Today he plays most weekends, covering the classics, and teaches during the week at Simphony Music School in Phnom Penh. Ah, nothing quite stirs one’s blood like the sound of the tin whistle and the fiddle; if one’s genealogy even hints at Irish, traditional Irish music will roust it out. In fact our daughter’s name was inspired by a tune sung by The Irish Rovers–“Marika’s Lullabye”–we added “Erin” for her middle name. 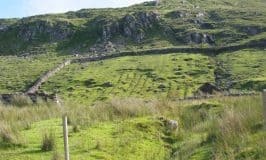 Your post about Irish music and its tradtional instruments reminds me of the kinship between Gaelic music and our own “bluegrass” which borrows from the Gaelic…especially in the form of the numerous fiddle reels from Appalachia. One aside and two questions. My Irish grandmother fancied the accordian (she owned two) but whether her interest in the “squeezebox” was inspired by her Irish heritage or our very popular at the time Lawrence Welk Show, I’m not sure. Question the first: I have heard the vocal group “The Irish Rovers” either haven’t been heard of in Ireland or they enjoy little popularity there. The “Rovers’ were popular in the U.S. in the ’70s, had their own weekly t.v. show which we never missed (reruns included). We even saw them in concert at the Seattle Opera House (surprised indeed at their diminutive stature in person…bigger than life on television). Question two: the Irish harp…Seamus Heany? Will there be a tribute by the IAM? Hi T.M. – The Irish Rovers were very popular in Ireland in the 1970’s and 1980’s. My parents had an old Irish Rovers vinyl LP. I remember listening to their version of ‘The Black Velvet Band’ many times. I don’t think they were as popular in Ireland as they were in North America. As for the Irish harp – I think a post on this iconic symbol of Ireland is definitely in order. I’ll have to work on one, and definitely a tribute to Seamus Heany is a great idea. Such a talented poet and writer, he is a great loss to Ireland. Many of our great writers have passed away in recent years. 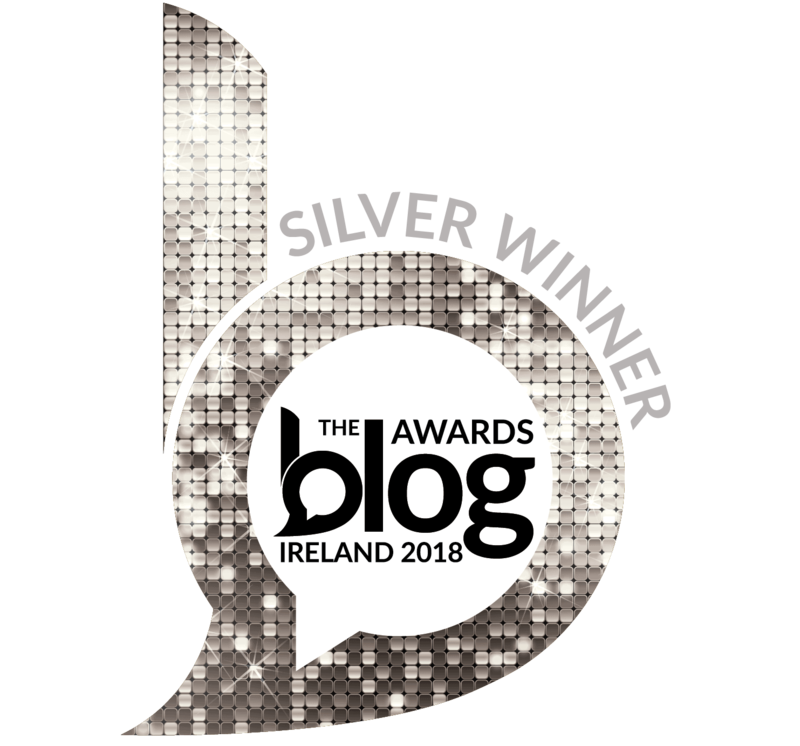 Maeve Binchy, Nuala O’Faolain, and Frank McCourt are just a few who also come to mind. Their immense talents will be greatly missed. 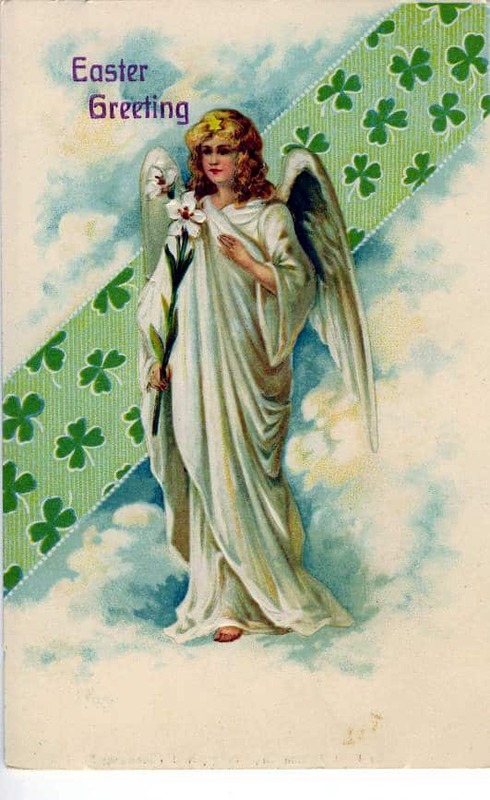 All the best, and thanks, as always for joining our discussions of all things Irish. When I hear Irish music now, I’ll have to take note of what instruments are represented! 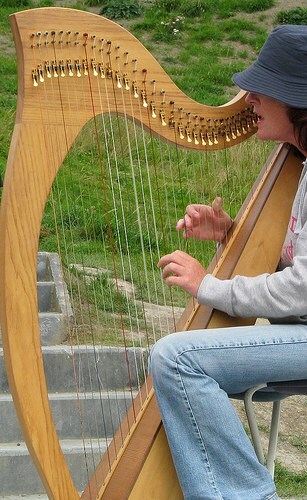 Cheryl – So many varied instruments are used in Irish music, it takes a keen ear to note the different ones. I’m afraid my musical ear is not too good. I can always hear the fiddle and the tin whistle, but I wouldn’t be certain of all the others. It always amazes me when musicians who have never met before can sit down and just play together as if they have been doing so all their lives. Listening to the sound of a tin whistle and a banjo makes me wanna dance and I feel connected to Ireland. I’d love to see a session someday. Mariana – I hope you experience a session someday too. You not only hear the music, but feel the rhythms vibrating through your bones and joints. I remember some wonderful sessions in O’Connor’s pub in Doolin when I was much, much younger. Hi Samanta – Lovely to hear from someone who enjoys Irish music. Thanks so much for stopping by.